This is my 300th post as well as #30 in the From the painting desk series. 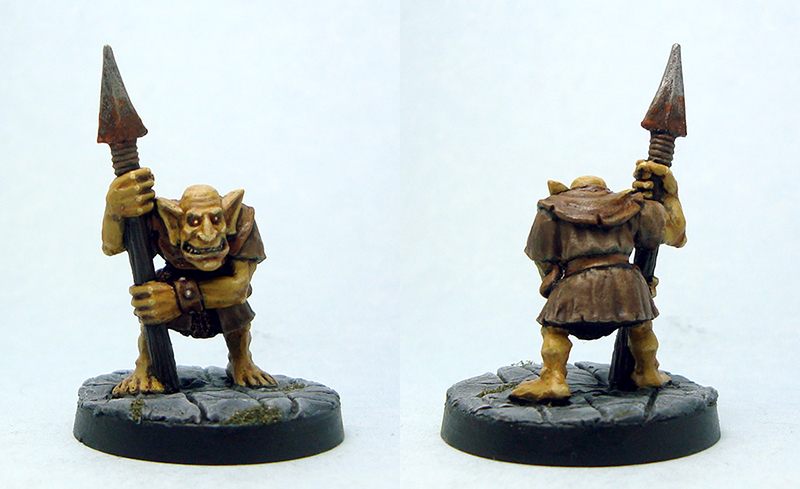 It’s somehow appropriate that the mini in question is not some fancy-pants resin wonder, but rather a simple, humble goblin that I bought ages ago from Orc’s nest. The miniature itself is from 1995, so it’s a youthful 20. It’s part of my ongoing mini project, which you can check out in my two previous posts. I’m really happy with the mini. It’s a very clean sculpt and was a wonder to paint. I spent more time on layering than usual (even if the photo doesn’t quite show it). The self-sculpted flagstone base turned out fine too, and I added some flock to represent moss creeping in between the stones. 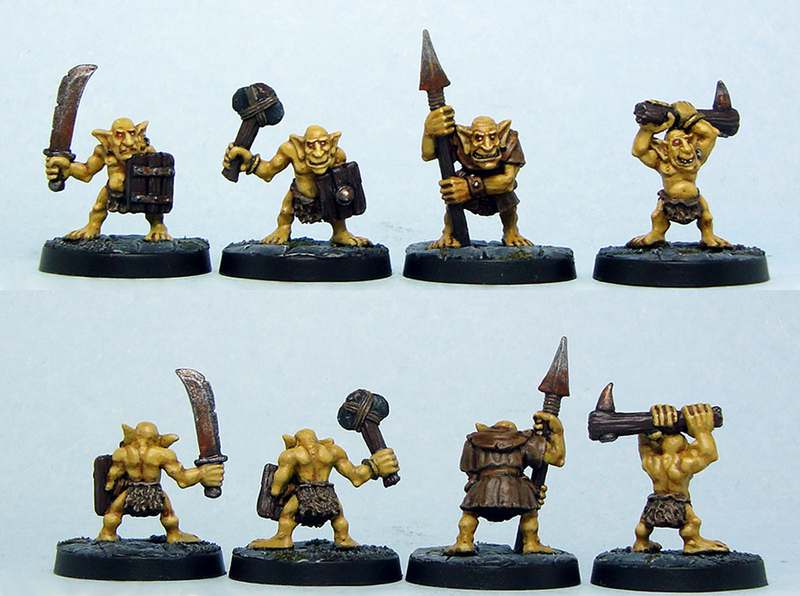 I don’t know how many goblins I’ve painted green during my WHFB days, so painting one yellow was a welcome change. He turned out looking suitably nasty and dirty in that good old D&D goblin way. I look forward to finishing the rest of the band of misfits. One reason I like these mini projects is that they are a great way to not only paint miniatures that have been sitting unpainted for ages, but also because they’re a great chance to try out something new. This time it was sculpting bases. I wanted my old school baddies to have flagstone bases to fit the D&D vibe. The process was quite straightforward. I simply slapped some ProCreate putty on the base, smoothed it some and cut in some regular-but-irregular grooves for the flagstones. I then added some nicks and notches and used a small stone to press some texture into the putty. On some bases I left a few empty places for flock to represent flagstones covered in dirt or eroded. Surprisingly simple and effective! The end result is fairly pleasing and I think it will look nice once painted. 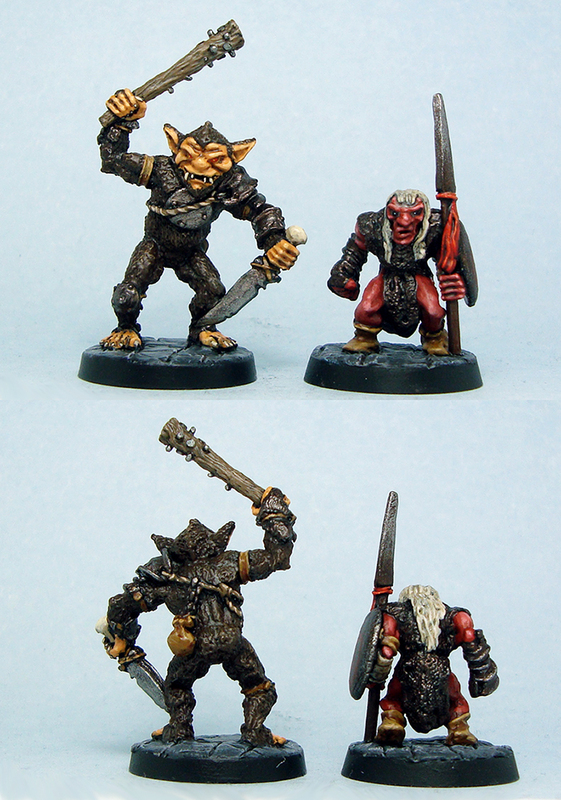 As usually happens with stuff like this, my technique improved the more bases I made, the first being the one on the bugbear (conveniently hidden in the photo) and some of the goblins having the last ones. I’m currently working on not one but two mini projects. That’s an unintentional pun by the way – even if they’re both miniature projects and quite small in terms of the number of miniatures involved. Both are related to my upcoming (and now somewhat customary) trip to Salute in London. In this post I will show off the beginning of the first one. The fun folks of FU-UK! are putting together a participation game of traditional dungeon romping. This provided me with a great chance to paint some classic fantasy miniatures long buried at the back of my miniatures cupboard. 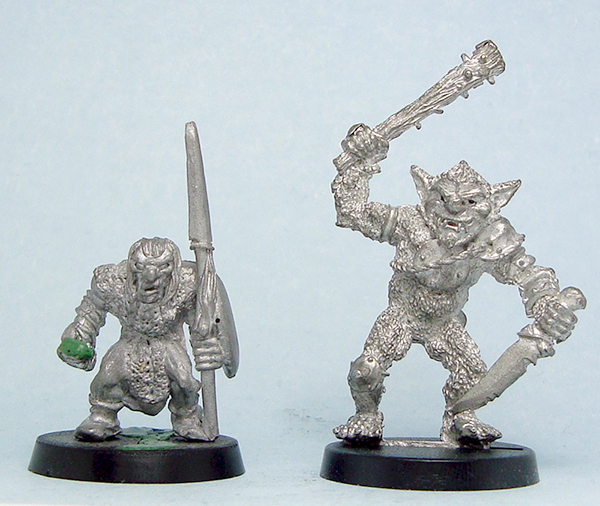 This group consists of traditional D&D bad guys: four goblins (Heartbreaker, 1995), a hobgoblin or half-orc (of unknown make and year) and a classic bugbear (Citadel/TSR, 1985). They look like they’ll be fun to paint as they’re simple, clean sculpts. 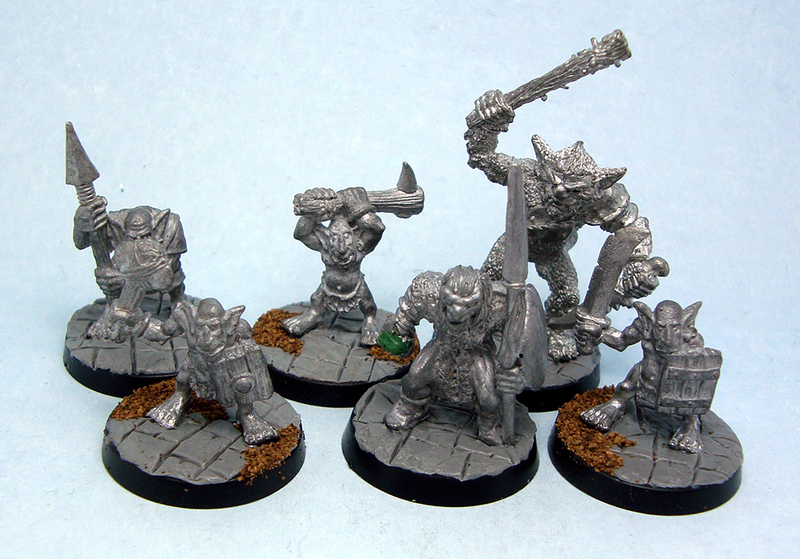 The goblins will not be the green of Warhammer of Warcraft but rather something along the lines of red, brown and yellow as per their D&D description. Updates will be posted as I get to work on them. If someone recognizes that unknown miniature, I’d be happy to know details. As for the other project…I’ll get back to that later.